Q. How do I insert an image or picture into my PowerPoint presentation? 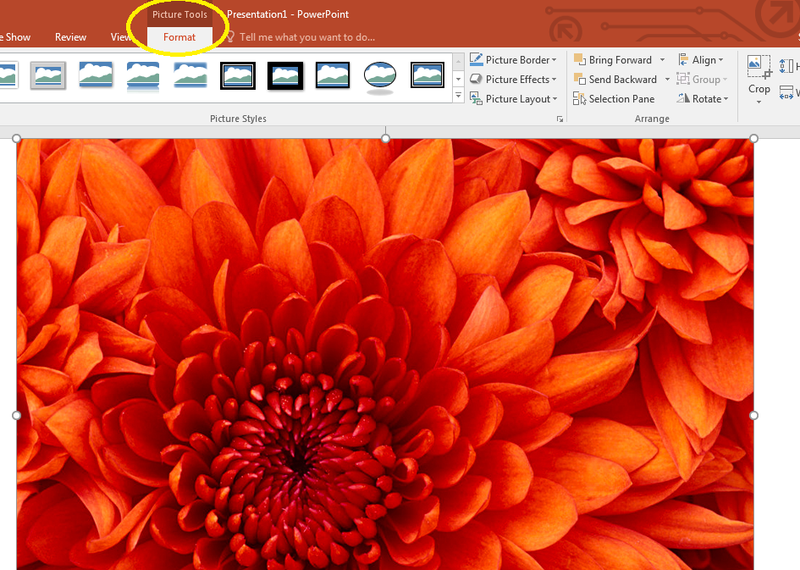 In PowerPoint, you can add pictures from your computer, from the internet, or from a screenshot. 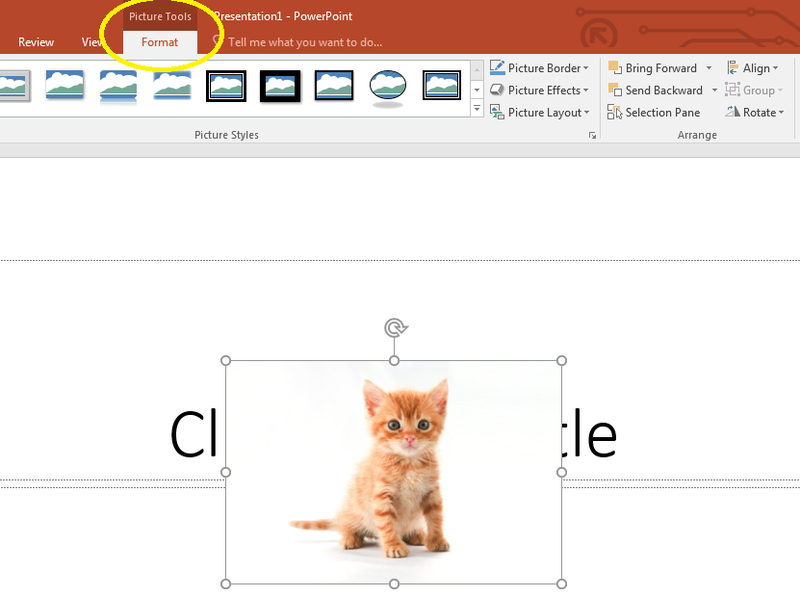 To add a picture to your PowerPoint slide, click on the Insert ribbon. 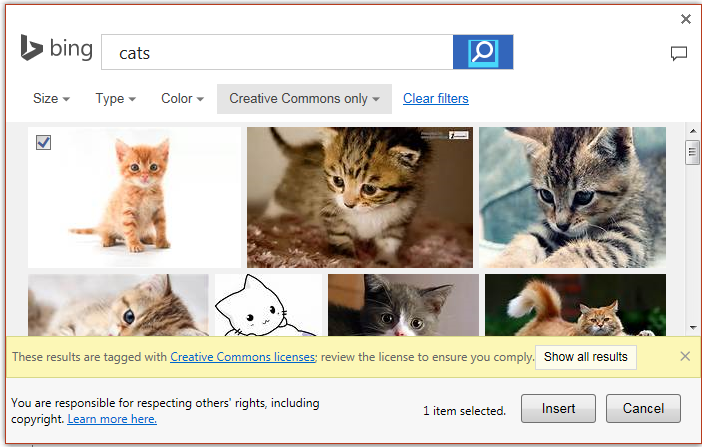 In the Images grouping, choose Pictures, Online Pictures, or Screenshot. Select the image you want to add, then click Insert. The image will appear on the current slide. 1. Click on the Insert ribbon. In the Images grouping, choose Pictures. 2. A dialog box will appear. Using the left sidebar, navigate to where your picture is stored on your computer. 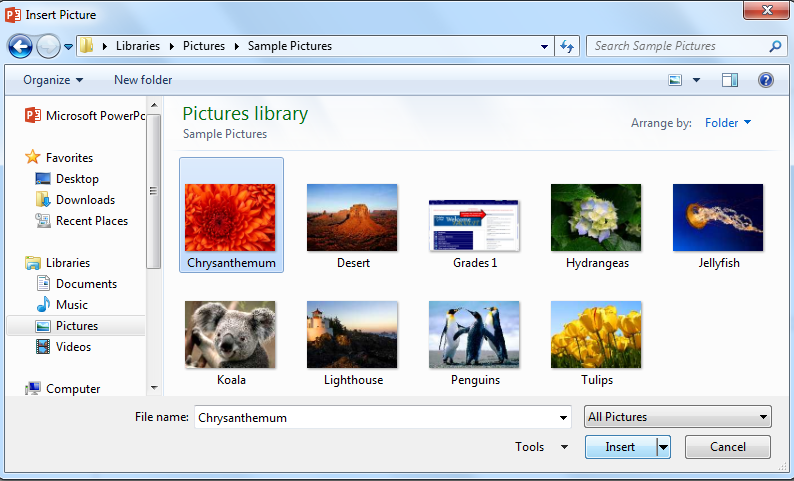 Select the picture you want to add and click Insert in the bottom right corner of the dialog box. 3. Your image will appear on your slide. A new ribbon, Picture Tools, will appear in the menu bar when you are clicked on the image. 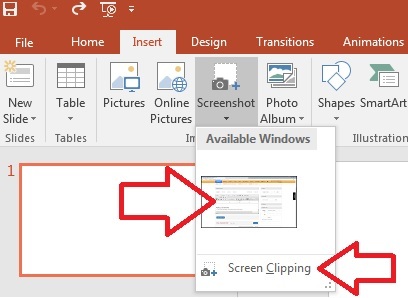 This ribbon gives options for editing your image within the PowerPoint slide. 1. Click on the Insert ribbon. In the Images grouping, choose Online Pictures. 2. A dialog box will appear with a Bing search box. Enter keywords for the image you want to find. Select the image you want to use by checking the box in the upper left-hand corner of image (you can select. multiple images). Click Insert in the bottom right-hand corner of the dialog box. 3. Your image(s) will appear in the current slide. A new ribbon, Picture Tools, will appear which will allow you to edit the image within the slide. 1. Click on the Insert ribbon. In the Images grouping, click the arrow under Screenshot. This will give you two options: 1) Insert "Available Window" and 2) Screen Clipping. Your screen will appear faded once the screen clipping tool opens. Your cursor will turn into a small black + (see above). Click and drag over the area you want to clip. Your selection will automatically insert into your PowerPoint slide. You can also add media into your slide using the placeholder commands that appear on new slides. Click on the icon corresponding to the type of media you want to include, and then follow the steps above.